Losses are often an unfortunate reality of business and life. Operating a business may create a loss in tough economic times, or a new venture start-up or an expansion may create significant tax losses before generating income in later years. Losses can also be incurred from events such as significant uninsured medical expenses, theft, and property damage, destruction or loss from a flood, hurricane, tornado, or fire. Fortunately, the tax code allows taxpayers to apply those losses to prior year tax returns and collect a refund of previously paid taxes. Taxpayers may also use those losses in the future to reduce tax liabilities. Preserving and using these net operating losses, or NOLs, requires organized records and awareness of, and careful adherence to, tax rules. Note: This blog post only covers NOLs for individual taxpayers, i.e. business losses from sole proprietorships, partnerships, or S-corporations whose income flows to individuals through Form 1040. We do not address the rules for C-corporations filing returns on Form 1120 in this post, although many of the concepts are similar. If your deductions for the year are more than your income for the year, you may have an NOL. To be specific, if you report a negative amount on line 41 of your Form 1040, you may have an NOL. However, there are limits to what can be deducted in calculating an NOL. How do I identify and preserve NOLs? The first step to preserving NOLs is to identify them by preparing a tax return. There is nothing on the Form 1040 that flags when you have created an NOL. In fact, in the 104 pages of instructions for Form 1040, there is only a single sentence warning that “you may have a net operating loss that you can carry to another tax year.” Awareness is critical. Minimize “Wasted” Deductions. There are several items that must be excluded in calculating NOLs. Be sure to add back the excess of nonbusiness deductions over nonbusiness income and nonbusiness net capital gains. You should classify as much income as possible as nonbusiness to absorb otherwise “wasted” nonbusiness deductions. Passive interests in partnerships, limited liability companies and S-corporations are often overlooked as a source of nonbusiness income. Through careful analysis and allocation of income, you can minimize the effect of this exclusion. Different Treatment for Different Types of Losses. The general rule is that NOLs generated in one year may be applied against the previous two years of returns to collect a refund of previously paid taxes. However, not all losses are treated the same. An NOL from a casualty or theft loss may be carried back three years. Also, a qualified small business NOL from a Presidentially-declared disaster may also be carried back three years. Change in Marital Status. Special rules that apply when there is a change in marital status or filing status. If you and your spouse were not married to each other in all years involved in figuring NOL carrybacks and carryovers, only the spouse with the loss can take the NOL deduction. Through careful analysis and allocation of income, you can minimize the effect of the change in marital status. What decisions do I need to make in using NOLs? Carryback or Carryforward? You may make an irrevocable choice to apply your losses only to future returns. You should consider making this election only when your taxable income, and therefore your tax rate, is relatively low in the two years preceding the loss year. You should also be highly confident you will generate significant taxable income, and a higher tax bracket, in subsequent years. Which form? If you carryback your NOL, you may use either Form 1045 (Application for Tentative Refund) or Form 1040X (Amended U.S. Individual Income Tax Return). You will receive your refund faster by using Form 1045. With Form 1045, you can apply an NOL to all carryback years, so have one form to file. If you use Form 1040X, you must use a separate Form 1040X for each carryback year to which you apply the NOL. The significance in choosing Form 1045 is that it must be filed on or after the filing of the return for the loss year and within 12 months after the loss year. You have three years to file amended returns using Form 1040X, but there is the additional cost and administrative burden of filing multiple returns, and it will take longer to receive your refund. By being organized and filing your return quickly, you can receive your refund earlier and use that money in offset the impact of your loss. Taxpayers who experience NOLs must plan carefully for their use. 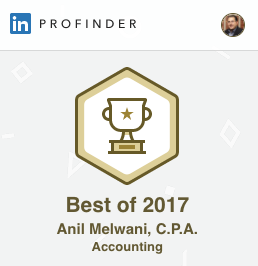 For more information on NOLs and how to be sure you are capturing the maximum benefit from your losses, schedule a consultation with tax accountants in New York City, 212 Tax Services.